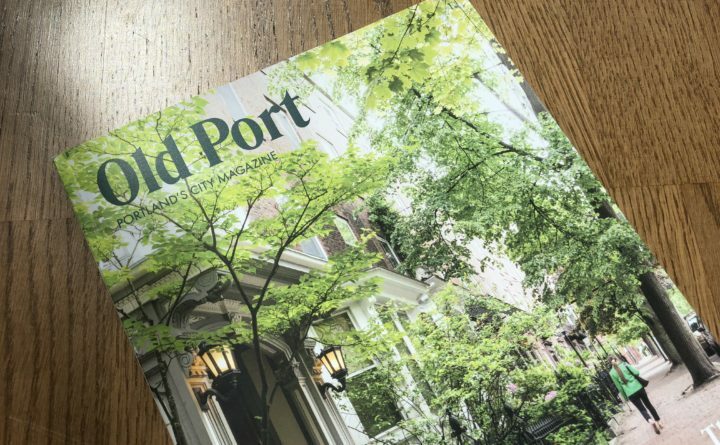 The April edition of Old Port magazine is seen on a coffee table in Portland recently. The magazine and sister publications Maine and Maine Home + Design have been sold to a newly formed LLC, according to the three magazines' publisher. Maine Media Collective’s assets were sold Wednesday to a group of investors who vowed to get the business settled down after the former owner of its publications left amid sexual harassment allegations. State 23 Media LLC, a new company, bought all the print, event and digital assets from Maine Media Collective, including Old Port magazine, Maine Home+Design and Maine magazine. None of the investors, including businesspeople from Massachusetts and New York, were previously involved with Maine Media Collective. State 23’s buyers include lead investor Adam Japko, founder and CEO of Esteem Media of Carlisle, Massachusetts, which publishes New England Home, Atlanta Homes and Lifestyle and others. Japko is expected to work closely with Andrea King, the CEO of Maine Media Collective, who is now CEO and publisher of State 23 Media. He said the new owners will bring in professional media management expertise. “We bring capital and experience to the company,” he said. He added that he wants the former Maine Media Collective’s employees to connect with his other publications around the country. Japko would not comment on the amount of the investment. He said all but three of the Maine Media Collective staff were hired back. They were let go from their Maine Media Collective jobs and hired back by State 23 Media during the ownership changeover, he said. Those not hired back were the editor-in-chief, a staff photographer and a staff videographer. Japko said his publications don’t have an editorial director position and they use high-quality freelance photographers and videographers. The company has 23 employees. Sandy Spaulding, president of Sea Glass Capital Advisors in Falmouth, is another key member of the investor group. He also is chair of the Maine Technology Institute and managing director of business development for Hodgdon Yachts. The sale comes after Kevin Thomas, the former owner of Maine Media Collective’s publications, left the company on M ay 1 following allegations of sexual harassment. At the time, King also said the company wanted to transfer ownership from him as soon as possible. In addition to new owners, the company is working with KMA Human Resource Consulting to ensure its policies and procedures are compliant and in alignment with best practices. Barbara Furey, former chief compliance officer and deputy general counsel for Unum, and Paula Silsby, former U.S. attorney for the District of Maine, are conducting an independent review of the company culture and environment, King said. She added she will meet with Furey and Silsby Thursday afternoon. State 23 Media has taken the MaineCanDo pledge at mainecando.org. “Our sole focus now is on our core processes and rebuilding the trust of the community and our advertisers,” King said. “There are issues from the past we don’t want to see going forward. She said that Maine Media Collective had eight or nine different potential buyers and that the sale moved very quickly over the past four weeks. “We heard roundly from our advertisers and groups in the community that before they came back to us they wanted to see different owners,” she said. “As we have with our other properties, we will provide capital and a framework for the local team to create print media, online media and events that produce meaningful results for local businesses and consumers,” he said. State 23 Media bills itself as a company focused on acquiring, launching, investing in and expanding media properties in Maine that rely on connected communities of trade professionals and enthusiastic consumers. Other State 23 investors are Jill Hinckley, owner of Hinckley Introduction, a matchmaking agency in Portland; Gary Mueller, a serial entrepreneur and chairman of LiquidX, a New York exchange for trade assets; Chris Legg, partner and senior managing director at Progress Partners, a Boston and New York investment bank, and managing partner of New England Home magazine; Gerry Parker, COO and CFO of some large local media companies in the United States, including his recent stint at Network Communications Inc. of Atlanta; Bruce Hallett, president and CEO of Stuart Dean Co. and former president of Sports Illustrated and Time magazine; and Karen Weltchek Mueller, a Boston-based management consultant and entrepreneur.